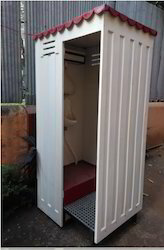 Prominent & Leading Manufacturer from Thane, we offer rcc urinals cabin, portable urinals, frp economical 2 in 1 urinal and portable toilet urinal. 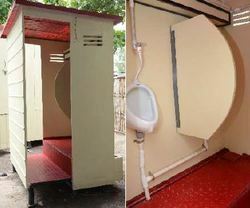 Clients can avail from us an extensive range of Portable Toilet Urinal. The entire range is designed by using best quality raw material and cutting-edge technology. By keeping in mind, the industry standards, our products are tested on different parameters, by our experienced professionals. Furthermore, we provide the entire array in diverse specification to meet the numerous requirements of our valued clients. 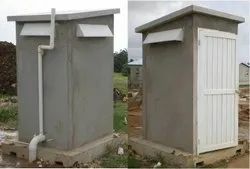 In addition to this, clients can avail this urinal from us at competent industry relevant price. Looking for Portable Urinals ?